People are busy. For designers, developers, illustrators, and others, this means working your day job, learning the latest techniques, keeping up with the newest literature, and networking, plus all of those other to-dos and dreams you need to conquer in your lifetime. One thing that's usually farther down this priority list is updating or building your portfolio. You know this is something very important, but because it takes a lot of continuous work to get it on point, it often falls by the wayside. 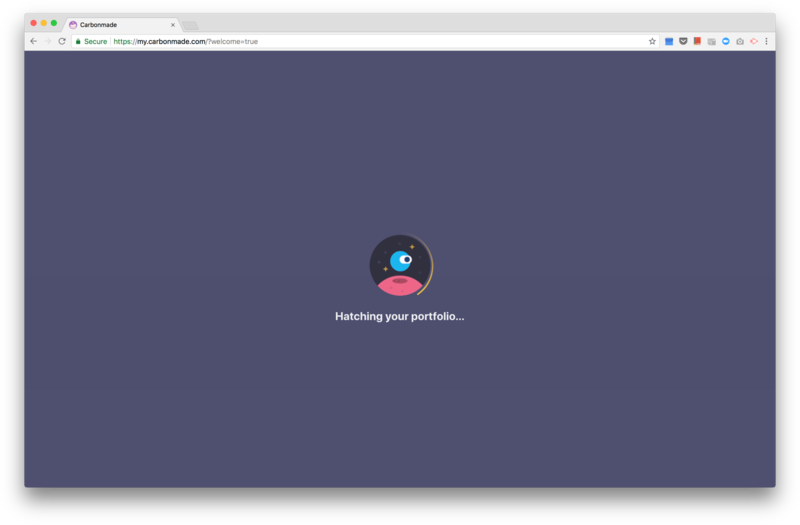 Carbonmade—an online portfolio builder—employs a clever tactic to get users to engage with their tool by increasing motivation and decreasing the difficulty of building an online portfolio. The start of the experience frames building a portfolio in a positive, fun, and creative way. It does this with its informal copy, lighthearted graphics, and reassurances that the platform is easy to use. This lifts the mood of the user. As a consequence, they are more likely to cooperate and give Carbonmade a try. 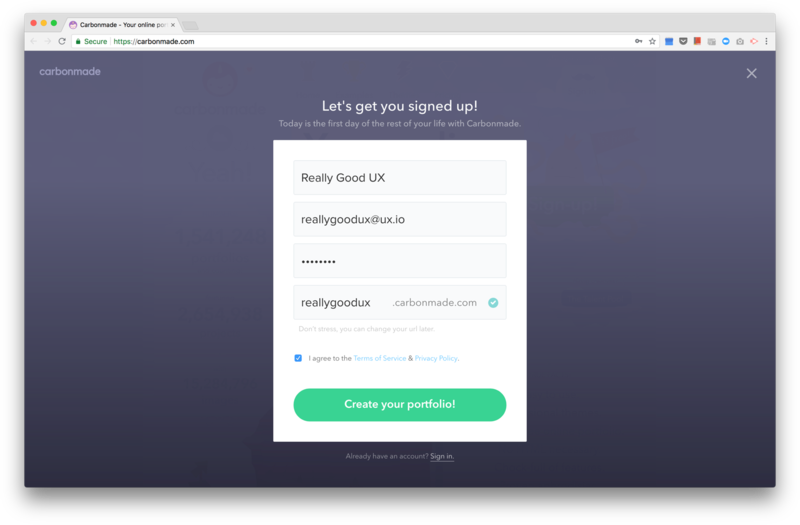 In two steps, the user goes from a new visitor to a portfolio builder. 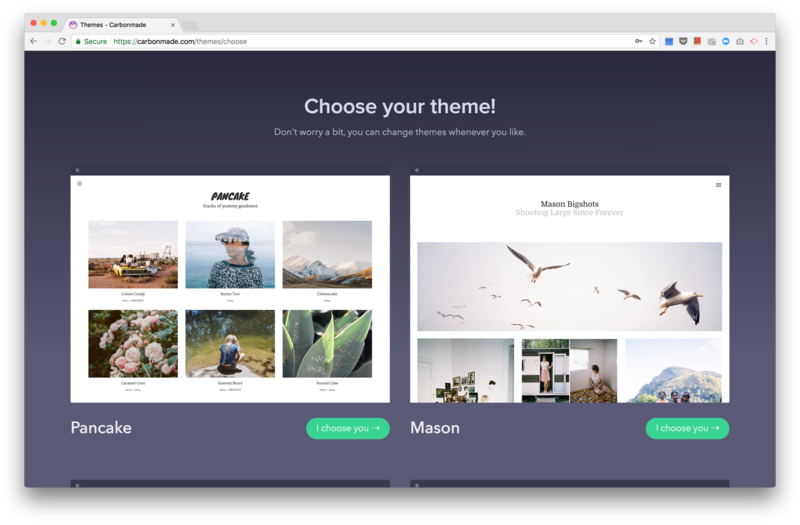 Carbonmade requests the minimum amount of information from the user to get them up and running and encourages the user to select a portfolio template to minimize the time it takes to reach the all-important wow moment. The sign of really good UX is an experience that does not need explaining. 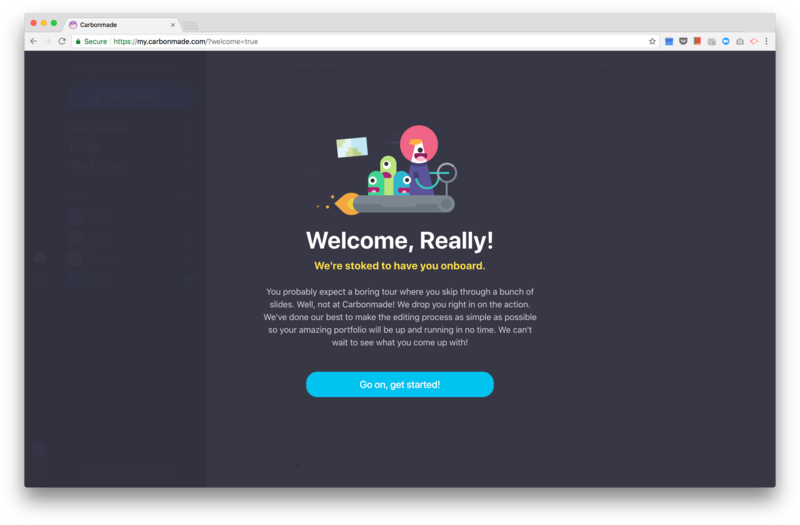 Here, Carbonmade is confident that its tool is intuitive and needs no explanation, so they keep the onboarding clean and clutter-free and deliver the user to the portfolio builder instantly. A key differentiator and engagement tool for Carbonmade is their brand. This is kept consistent throughout the flow with fun graphics, relaxed copy, and casual CTAs like “I choose you” on the templates page.